Choosing a good financial adviser is one of the most important decisions that one can make. Engaging a good one can mean between being sold a white elephant, or having a peace of mind when disaster strikes. However, how can we identify the best financial advisers when we see them? More importantly, do these advisers share common awesome qualities? At fundMyLife, we work really hard to connect our users to the right financial advisers so that they can plan their finances confidently. This involves being able to discern between the best from the rest. Being a a curious bunch, we collected testimonials and reviews of financial advisers based in Singapore to answer this question. 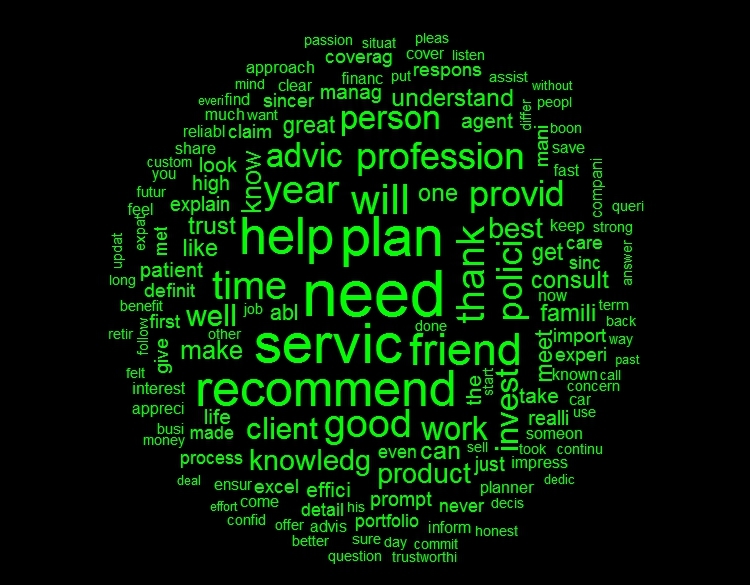 We then performed text analytics to distil what clients have to say about their financial advisers. We found more than 1000 reviews, with a total of 72,590 words! After removing irrelevant and common words, we then performed a series of text analytics to sift out the words clients use to describe their financial advisers. Don’t be alarmed by misspelled words like “servic” and “advic” – it’s a result of truncating words like “services” and “servicing” into their root form: “servic” for a cleaner analysis. Ditto for “advic”, “provid”, etc. This is a given, though it is a point that bears repeating. The best advisers break complex financial jargon down into digestible chunks for their clients. On top of that, they have a strong grasp on all of their products. In addition, many testimonials mentioned how their advisers had a solution to their unique situations. This reflects that the best advisers don’t merely sell – they advise holistically. Interestingly, client testimonials often talked about patience. Indeed, while breaking complex concepts down requires knowledge, communicating them to the layperson requires patience. It also takes patience to convince a client of a plan that he or she may not agree. A classic conundrum comes to mind – does the adviser sell what client wants, or what the client needs? Unsurprisingly, this quality features highly. Two words that popped out often in our analysis were “prompt” and “efficient”. No one likes to be ignored, even on a normal day. When money is involved, things become extra stressful. Some of the testimonials mentioned that their advisers went beyond the call of duty, being readily available at all times to answer queries. Clients remarked how their advisers genuinely cared for them and their well-being. Testimonials that mentioned “caring” and “friend” have touching anecdotes about how their advisers followed up closely after accidents, despite their busy schedules. In addition, as a good friend the best ones can empathise with clients’ goals, dreams, and personal values and advise accordingly. On top of that, we found many instances of “friendly” and “approachable”, indicating that friendliness ranks highly for clients. The best financial advisers are the ones who do not push their products. A considerable portion of the testimonials mentioned that their advisers were not pushy. This reflects the local perception of advisers, and the way how some unscrupulous ones sell for the sake of selling. Phew, what a list. Now that we’ve listed the qualities of the best financial advisers, how do your respective advisers stack up? Advisers, do you think you possess these traits? If you do, we want you to be with fundMyLife! If you liked what you read, do share it with your friends as well. For more interesting reads in the future, like us on our Facebook page! You hold your card up. It shines in the light, just like how you feel your future will be. A smile forms across your face as you figure out your next online purchase on your favourite shopping portal. Or that flight ticket you’ve been eyeing for a while now. What could go wrong, you think to yourself? Your optimism is second only to the smugness you feel. It also helped that you obtained a free hotpot from signing up for the card. Is it wrong to feel so right? Hey, where’d all the money go? 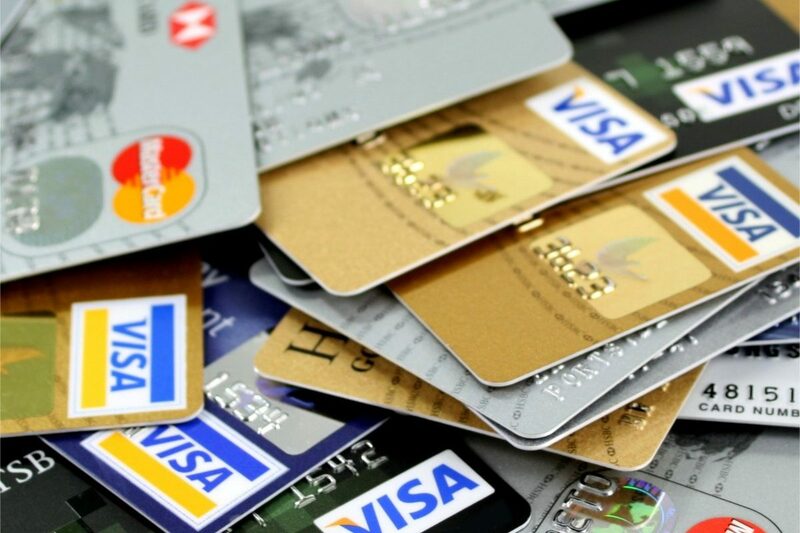 In a report released by the Credit Bureau Singapore, there was a 32% increase in the number of credit card customers who have two months or more of their credit card debts past due, compared to the number of those customers in 2011. And on average, each of them owes a staggering amount of $3380. Bear in mind, this is just an average so there are others who owe way more. 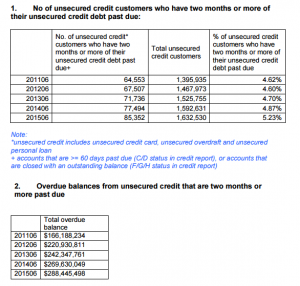 It’s worrying to see the increasing number of people with unsecured credit debt. The pros of using credit cards are already widely trumpeted. That said, we feel that we should also discuss the cons of using credit cards. In our love for alliteration, we decided to call them credit card caveats. The threat of overspending is very real. One thing people forget when they use credit cards is that they’re borrowing money. They still have to repay at some point later on. It is definitely psychologically less painful to swipe cards than to hand over the physical cash. In other words, credit cards numb the pain of purchase by delaying the payment. This behaviour can be dangerous when you don’t keep track of your expenses, and maintain only a rough idea of your purchases which will lead to expenses rolling out of control over a period of time. Credit cards affect us in ways subtler than we can imagine. An often cited psychological research by Feinberg in 1986 suggested that consumers tend to overestimate the price of goods with credit card logos. This study was replicated over various locations over the years, each study yielding similar conclusions. An example of a picture used when investigating the effects of placing logos onto images of consumer goods. In a study by Prelec and Simester in 2001 on credit card behaviour on purchasing, they found that subjects were willing to spend as much as twice the amount of money when using credit cards on consumer products compared to using cash (this behaviour was found in debit card users as well in a separate study by Runnemark et al). Research also suggests that the credit limit a user has in his/her credit card makes purchases seem less significant. For example, let’s imagine you see a $3 bar of chocolate which you are really keen on eating in a candy shop. You rummage through your pocket and you find only $5 in your wallet. It is most likely that you’d think twice about buying it if that’s the only money you have at the moment. What if you find your shiny Mastercard instead which has a credit limit of $5000? 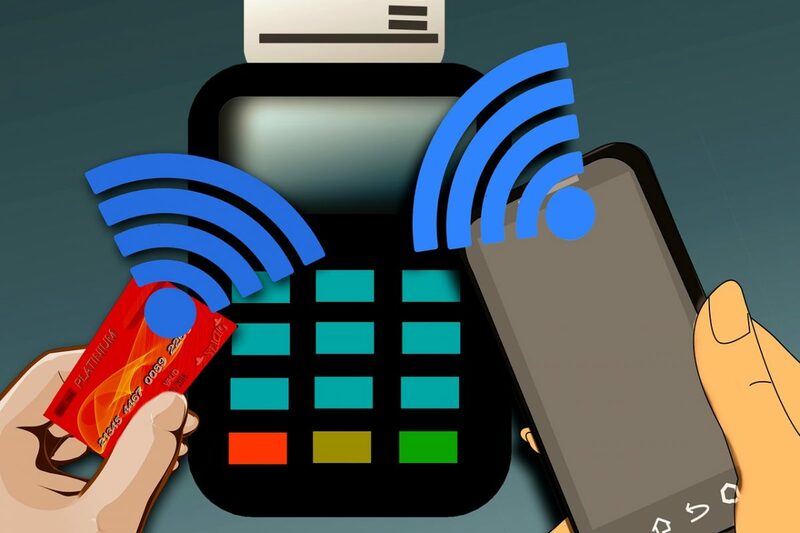 Chances are you would be more likely to purchase the candy bar with the credit card than if you had the cash alone. But even then, Dora and gang tell Swiper not to Swipe every episode; if he can (not) do it, so can you! What can we really do to counteract this? 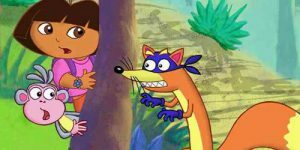 Unless you are Swiper from Dora the Explorer, you should be conscious of your (credit card) swiping. Take more time to do research on your purchases, i.e. sleep on it before deciding on a purchase. On top of that, keep track of your expenditure – there are apps out there which can help you monitor your expenses like Expensify, Wally, Pocket Expense, etc. If you purchased anything while you were overseas, you might want to take a reaaaally close look at your transactions. Your statement might have some discrepancies and it isn’t the currency exchange rate that caused the discrepancy. 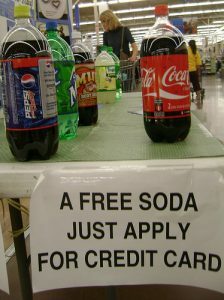 Perhaps a quick look at the terms and conditions of your credit card might help. Two pages of this terms and conditions, for one of the credit cards we were reading up on (we won’t say which). Good luck friendo :^) Sorry for the scribble the fundMyLife team outsourced this job to kindergarteners. There are three forces at play when you spend overseas. Firstly, it is the foreign exchange rate of the country you made your transactions in. For some cards (we won’t say which), foreign currency transactions other than USD transactions are converted first to USD before being converted to SGD. This arrangement exposes you to two different foreign currency markets, which may end up costing you. Secondly, the card associations impose a currency conversion charge whenever you spend overseas. This can be around 0.2-1%, depending on whether you go with the standard transaction or dynamic currency exchange (some merchants offer this). Thirdly, on top of that, depending on your card association (Visa/Mastercard vs Amex), the bank charges you a 1.5-2% administrative fee. 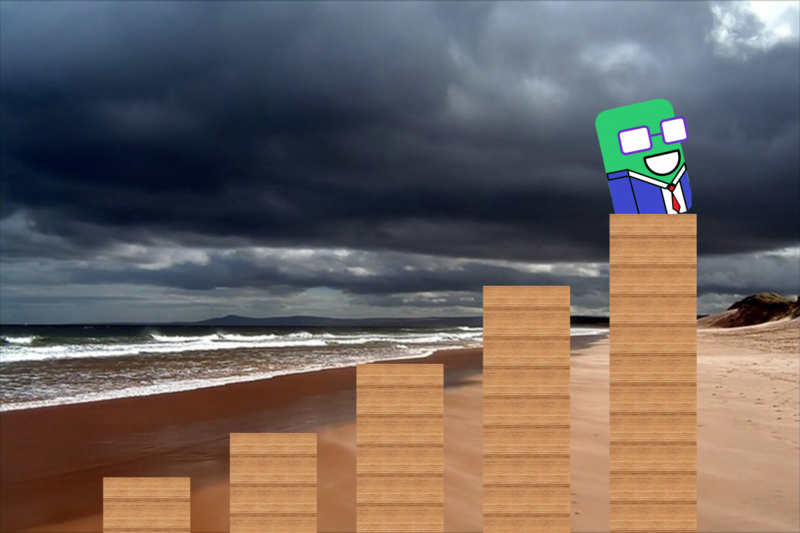 Thus, in total we’re looking at an average of 2.5% on top of the currency exchange conversion mentioned in the first point. In theory, that sounds okay. What’s 2.5% on top of currency exchange, you think to yourself. Let’s crunch some numbers. Assuming you’re in Japan. You’re holding a DBS Credit Card, and you decided to use it to buy a bag in Shibuya. The bag costs 50,000 yen. 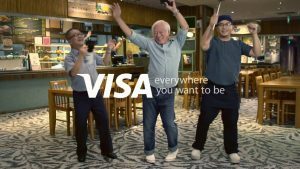 The merchant accepts Visa, and so you swipe. The amount is first converted to USD and then to SGD, and then a 2.5% charge on top of the converted amount. Oh boy, you spent extra $15 swiping a card. We tested numbers with varying sums across different countries, and the conclusion is similar – even if the currency is favourable to you, the gain is balanced by the 2.5%, which results in spending more. We would like to caution you to weigh the pros and cons of using a card. We’re not entirely against using cards, of course. Cards are definitely useful when you are in an unsafe country, where carrying cash is definitely riskier. On the other hand, you too must be conscious of the transaction fees. Another hidden term which we would like to highlight is the “interest-free instalment plan” that comes with some of the credit cards you signed up for. It’s true that you are able to make 0% instalment plans on these cards, but there are several things you have to bear in mind when using them. Let’s say you decided to buy a $3000 laptop (a bit pricey, but bear with us here), and charged it to your credit card under the 0% instalment-free plan. If your credit limit on the credit card you used was $4000, it means you have $1000 credit limit remaining for the card which returns gradually as you make payment. Another thing to note that is you will be charged for the purchase via administrative fees, which can range from 1-6% depending on whether the shop is a participating merchant. If the best case scenario, your laptop purchase increased to $3060 and in the worst it is $3180. Cancel your plan halfway, and you pay even more on top of what you need to pay for the remainder of your instalment. Try to pay more early in an attempt to clear your instalments faster, and you get charged too (it’s called prepayment in the Terms and Conditions so make sure you ask about your bank). In summary, there is no such thing as a free deal and you have to be cautious in order to maximize this arrangement. Credit cards are double edged swords. While credit cards can build your credit score for important loans, e.g., housing loans, in the future, they too can also harm your credit score should you fail to make your payments on time. But first, what are credit scores? Credit scores, according to Credit Bureau Singapore (CBS), is “a number used by lenders as an indicator of how likely an individual is to repay his debts and the probability of going into default. It is an independent assessment of the individual’s risk as a credit applicant”. It is a four digit number, ranging from grade AA to HH. AA indicates that the consumer is least likely to default on a loan while HH is most likely. In other words, this score is your financial street cred – it signals whether you’re a legit borrower or otherwise. Clockwise from top: Utilization Pattern, Recent Credit, Account Delinquency Data, Credit Account History, Available Credit, Enquiry Activity. CBS then generates a comprehensive credit report based on your credit score using a number of factors. As you use credit cards, each repayment goes towards building up your reputation as a borrower under “Credit Account History”. Besides the extra payment incurred due to interest rates, the failure to pay on time is also reflected in the Credit Bureau Singapore (CBS) Credit Report. This is found under “Account Delinquency Data”. An interesting factor which requires elaboration is “Enquiry Activity”. An enquiry refers to new application enquiries found on a credit report. When you want to take up a new loan or a credit card, your file receives an inquiry. Having a high number of enquiries (too many loans/credit cards) signals to the lender that you are trying to take on more debt. This can affect your score, because it implies taking on more risks. CBS advices readers to “limit the number of loan facilities and credit cards which you apply for”. Ultimately, someone with a poor credit score will find it less likely (but not impossible) to secure bank loans in the future. If one bank rejects your application for a loan/credit card, it doesn’t mean other banks will do the same. Go to http://www.creditbureau.com.sg/credit-score if you are keen to know what are the factors involved in calculating your score. We have come to the end of our article. While we have listed some depressing things, fear not! Please bear in mind that most of these caveats occur under unwise spending habits and not scrutinizing over the T&Cs of your card. As long as you keep these points in mind you should be a-okay. And don’t be a sucker for free stuff mmm-kay. So that’s it for now folks. Any more words and we might start losing your attention. Thanks for reading! Spend well, spend smart, and repay punctually. See you on our next post! Tell us what you think in the comments below! Perhaps you can suggest what you’d like to read about in the future too. Let’s keep in touch and like us on Facebook! If you’ve any questions, and you’d like legit financial advice from a pool of curated financial advisers – come find us on our main page at fundMyLife! I recall back in primary school as a kid, I would return home every day with empty pockets even though my allowance was more than enough. Bewildered, my mom asked me what I spent on – it turned out that I never stuck around for my change every time I bought food. I remember feeling so silly and wished my mom had taught me to handle money properly before I even started school. Financial literacy goes a long way, and parents should start as early as possible. Yes, while your kids are still pre-schoolers! 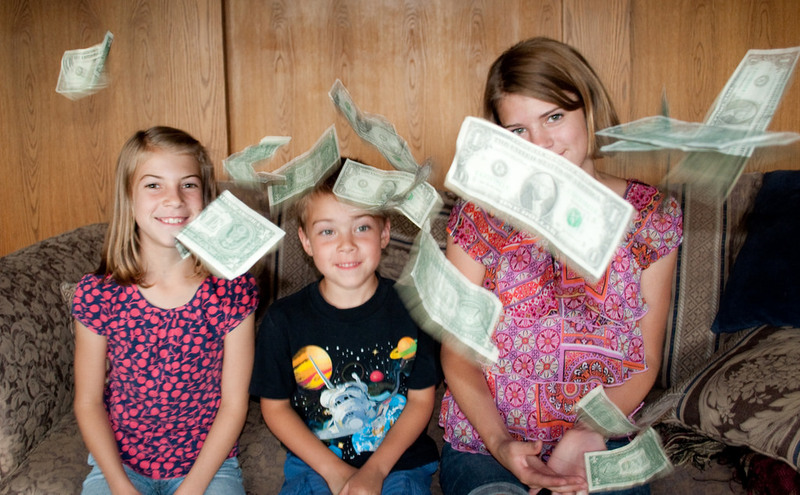 Financial literacy doesn’t have to be hard and here are 5 easy ways you can make learning about money a fun journey for (you and) your kids! When you are out with your kids in a supermarket, consider playing the “needs vs wants” game. It is a simple game where you ask the kid to identify an item as a need, or an item as a want. Choosing is a skill. Hence, all the more to practise it early! Rice? It’s a need – you’d go hungry without rice. Candy? It’s a want – it’s nice to have but you would still survive without it. You’ll have fun quizzing your kids and encouraging them to think if some items are truly needs or wants. We make choices all day, and we get better with practice and time. As such, it’s never too early to ask your kids to make choices, such as whether they want spaghetti or rice for dinner. They are empowered as they can see that their choices lead to real-world outcomes, i.e. they are having spaghetti for dinner because that’s what they chose. 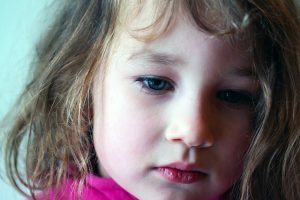 The look of regret when she realises that her dinner was the chocolate bar she chose earlier. If you’re up for it, agreeing to bad requests made by your kids can teach them the consequences of making such decisions as well. For example, your kids want candy at 5pm and you can agree on the condition that the candy is substitute for dinner and that you spent money on candy instead of dinner. The subsequent hunger will be a good lesson for future decision-making and that resources are finite so they need to consider their options carefully (okay, that’s not so fun after all). By showing them the consequences of their purchasing decisions, they will be more confident and decisive, be it financial or other aspects in their lives. You can teach them how to compare the value of two items with different prices. To make this experience even more fun, you can set up a family experiment by getting one item first, and then getting the second item next so that your kids can objectively assess whether the difference in pricing is worth it. 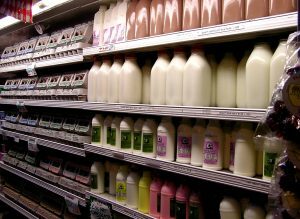 So many milk, so many choices – best to shop with your kids to figure out what’s a good deal! For example, if you get Brand A milk for one week, get Brand B milk for the subsequent week so you can engage your kids and ask which brand was tastier. If there was no discernible difference in taste, your kids will learn to go for cheapest items and if there was a difference, then your kids will grow to appreciate the concept of “value-for-money”. It can be a joy watching your young ones cleaning the house while you rela-, I mean, supervise them. Make chores a game by giving them virtual points for each chore done or real money which you can keep on their behalf for redemption of an item of their choice. 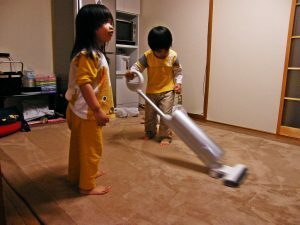 Your kids will be motivated to assist you and you get some extra help around the house. Win-win. More importantly, they will be able to appreciate that they must earn their own money to get what they want. Your kids want toys? Don’t say YES right away! Instead, encourage your kids to save up for them. Work out a budget together, factoring in their daily allowance, the expected savings per week, and how long it would take to reach that goal. Putting these in an ordered list can be motivational. Don’t be tempted to top up the remainder, as it might reduce the feeling of accomplishment upon completion. 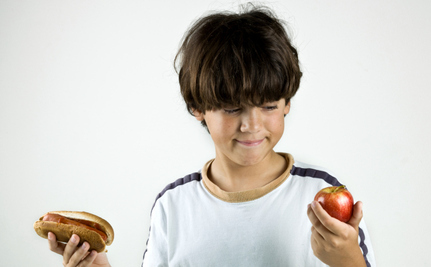 The key is empowering your kids and teaching them the benefits of delayed gratification. Look at little Emily here, she’s already fascinated by the wonders of budgeting. Another bonus part of this exercise is that your kids might change their mind regarding the purchase along the way as they realise they don’t want it as badly as they thought – they will learn to stop and think before buying, and avoid impulse purchases in future. Seeding knowledge early in your kids will yield large returns later in their lives. As such, we hope that these tips will be useful to your parents out there. If we missed out anything or if you would like to share your own tips, feel free to drop a comment or email us at jackie@fundmylife.co! Visit us over at our main site if you want to get good financial advice from our curated pool of advisers!